Just as you can set up custom fields for enterprise resources, you can set up custom fields for enterprise projects as a whole as well as individual enterprise tasks and assignments. You can define these custom fields as part of the enterprise global template to hold special information—such as a specific category of costs, dates, or text that is not provided by built-in Microsoft Project fields. For more information about enterprise resource fields, including outline codes, see "Customizing Enterprise Resource Fields" earlier in this chapter on page 609. Project fields Store summary project information. Custom project fields can be viewed as part of the project summary row in an individual project plan. They can also be viewed in conjunction with other projects by users of the Portfolio Analyzer and Portfolio Modeler. Task fields Store information about the tasks in a project. Like the other types of fields, this can include cost, date, text, and number information, to name a few. Resource fields Store information about the resources in a project. Resource fields are covered in depth in "Customizing Enterprise Resource Fields" earlier in this chapter on page 609. Assignment fields Store information about the assignments in a project. Assignment information pertains to the intersection of task and resource information. To define a custom field in the enterprise global, follow these steps: 1 Log in to the project server through Project Professional. Custom information can be entered in the fields by the project manager, or calculated by Microsoft Project from other Microsoft Project fields. Table 21-4 shows the available custom enterprise fields for projects, tasks, resources, and assignments. 2 In Project Professional, click Tools, Enterprise Options, Open Enterprise Global. The enterprise global opens as the Checked-Out Enterprise Global. 3 In Project Professional, click Tools, Customize, Enterprise Fields. The Customize Enterprise Fields dialog box appears. 4 If necessary, click the Custom Fields tab. For information about defining a custom outline code, see "Establishing Enterprise Outline Codes" in the next section on page 628. 5 Under Field, select the Task, Resource, or Project option. 6 In the Type box, click the type of field you want to define, for example, Date or Flag. 7 In the list of enterprise fields that appears, select the specific custom field you want to use, for example, Enterprise Date1. 8 Click the Rename button to give a descriptive name to the custom field. 9 Under Custom Attributes, specify whether the field is required and whether you want to define a value list or formula for the field. Click the Value List button to define a lookup table or drop-down list for the field choices. Click the Formula button to build a formula based on mathematical calculations or logical comparisons of project fields. 10 Under Calculation For Task And Group Summary Rows, specify whether and how you want the field information to be rolled up to task summary and group summary rows. This section is available only for task fields. 11 Under Values To Display, specify whether you want alphanumeric data or a graphical indicator to appear in the field. If you want a graphical indicator, click the Graphical Indicators button to make further specifications. 12 When you're finished defining the custom field, click OK.
13 When you're finished working with the enterprise global and you want to check it back in to the project server, click File, Close. The enterprise global, with your new custom field, is checked in to the project server and made available to all project managers. For more information about the fields used throughout Microsoft Project, refer to Appendix B, "Field Reference." Even if you or the project managers have defined a work breakdown structure (WBS) for use with tasks, your organization might have alternative methods for reviewing task structures. These methods can be defined with task outline codes. 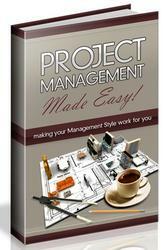 In the same way, you can structure project summary information with a project outline code. Resource outline codes include a set of single-value codes, multiple-value codes, and the resource breakdown structure (RBS). For details about all these, see "Customizing Enterprise Resource Fields" earlier in this chapter on page 609. 2 In Project Professional, click Tools, Enterprise Options, Open Enterprise Global. 6 Select one of the outline codes from the list. Each outline code that is currently in use has a name in parentheses beside it. Only the project system administrator or another user with the proper permissions can save custom enterprise fields to the enterprise global template. If project managers need custom fields for their individual project plans that don't affect the enterprise, they can define custom fields for their own use in enterprise projects. Instead of using the enterprise custom fields such as Enterprise Cost1-10, they can use Cost1-10, Date1-10, Text1-30, and so on. For more information about regular custom fields, see "Customizing Fields" on page 788.